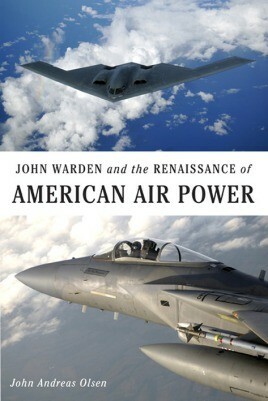 Unfortunately, due to sales rights restrictions, we cannot offer John Warden And The Renaissance Of American Air Power for sale in your country. Dr. John Andreas Olsen has written an insightful, compelling biography of retired U.S. Air Force colonel John A. Warden III, the brilliant but controversial air warfare theorist and architect of Operation Desert Storm?s air campaign. Warden?s radical ideas about air power?s purposes and applications, promulgated at the expense of his own career, sparked the ongoing revolution in military affairs. Legendary in defense circles, Warden is also the author of The Air Campaign: Planning for Combat (republished by Brassey?s, Inc. in 1989). Presenting both the positives and negatives of Warden?s personality and impact in this objective portrait, Olsen offers a trenchant analysis of his revolutionary ideas and great accomplishments.